Montréal UNESCO Creative City of Design is launching an international multidisciplinary landscape architecture competition for the planning of Place des Montréalaises, a new public space in the city. The competition is looking for the most innovative ideas for the permanent construction of Place des Montréalaises, which includes a pedestrian overpass leading to the adjacent Champ-de-Mars metro station. 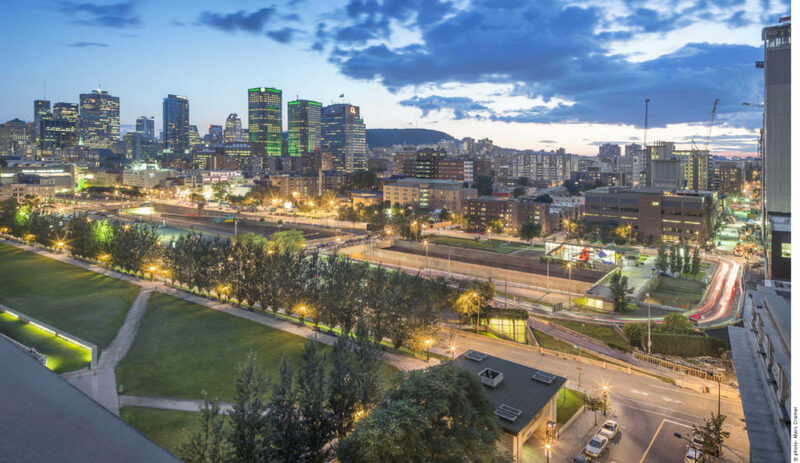 The city of Montréal has given high priority to the re-purposing of areas bordering the Ville-Marie Expressway, aiming to restore ties between the historic city and its former suburbs and to enhance the high-quality network of public spaces from Square Victoria to Square Viger. The competition will be held in two stages. In the first stage, competitors will be invited to submit a proposal anonymously, which includes a preliminary spatial-planning concept that conveys their vision of the project and its mission. The jury will select up to five proposals as finalists. In the second stage, the finalists will be asked to expand on their concept and publicly present a service offering to the jury. The jury will then recommend a winner. Architects, designers and urban planners from the UNESCO Creative Cities are encouraged to participate in this competition, which aims to encourage the formation of multidisciplinary teams of designers, architects, engineers, and artists, and foster creativity in urban planning. The deadline for Stage 1 submission is September 26, 2017.